Pre-owned powersport auctions at your fingertips. If you can't make it to our live auctions, you can go online and bid virtually with NPA Simulcast. With over 25 years of accumulated proprietary data, this innovative tool assists you in accurately projecting returns on your powersport inventory. NPA serves lenders and dealers throughout the nation with a complete range of auction-related services. NPA provides secure online information and management websites for all of our key business partners, including our Lender Portal, Dealer Portal and Transportation Portals. This puts the information our customers and business partners need at their fingertips 24 hours a day, 7 days a week. 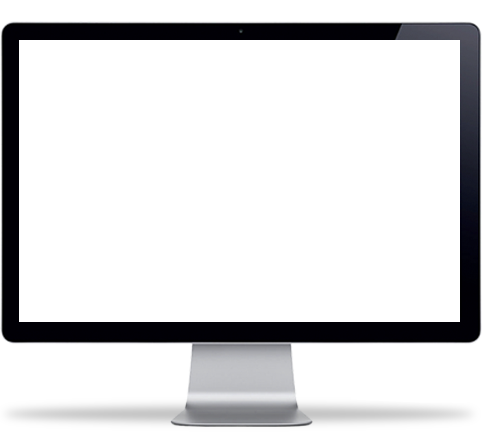 NPA's Lender Portal provides clients with “real time” access to each and every vehicle 24 hours a day, 7 days a week. Current status, detailed condition reports, title specifics, key dates, reporting, tracking and other helpful features are simple and easy to retrieve. The Lender Portal provides unlimited accessibility from vehicle assignment through liquidation. Today's dealer knows there is a lot of money to be made with used vehicles - unlike new vehicles, every used unit is different and can command higher margins in most cases. There is no better source of cost-effective, high-quality inventory than NPA, and we make it easy for dealers to obtain what they need. Every month live auctions are held in San Diego, Philadelphia, Madison, Dallas, Cincinnati, Sacramento, and Atlanta. 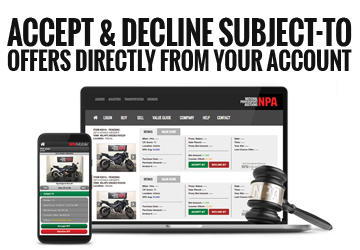 NPA also offers three online auction platforms, each dedicated to specific segments of the powersport industry. NPA eSale, Black Market and Insurance Total | Loss run 24 hours a day 7 days a week to give dealers the opportunity to purchase in between auctions. Dealers can preview the units offered on each platform online and bid in-person or online on the vehicles they need most. NPA provides a dealer consignment program like no other auction facility in the world. Only NPA provides dealers the opportunity to sell their consignment units adjacent to lender powersports. Every unit sold through our facilities receive the same comprehensive condition report, mechanical evaluation, thorough detail, title work, and world class auctioning. With our strategic locations and transportation contacts, getting your inventory to one of our auctions is just a phone call away. With live auctions multiple times a month, and online auctions 24/7, there is ample opportunity to maximize returns on your auction units. NPA's proven marketplace is ideal for many other types of powersports-related businesses including insurance companies, OEM's, and any other organization with a need to liquidate powersports inventory quickly and efficiently with the best possible return.